At Wheel Specialists, we carry tires for cars, trucks, and SUVs! 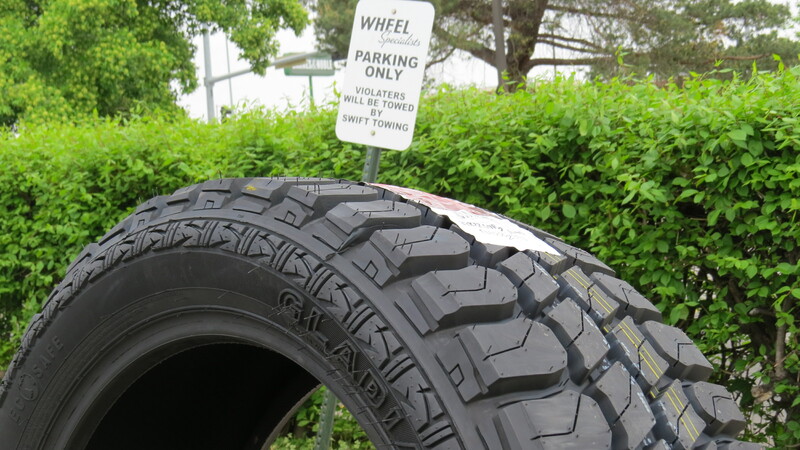 We have sizes ranging from 13” tires to 42” tires, and in many different styles. Whether you need a new set of white walls to go with your new wire wheels, or you need some aggressive off-road or mudding tires for your 4×4, Wheel Specialists has what you need. When you shop with us, you will pay far less than you would at other online retailers because we have tremendous buying power with tire manufacturers. Our huge stock quantities also means that you won’t have to wait for your order because we have them ready to go! Shop with us today and see the difference that our excellent customer service and low prices can make.